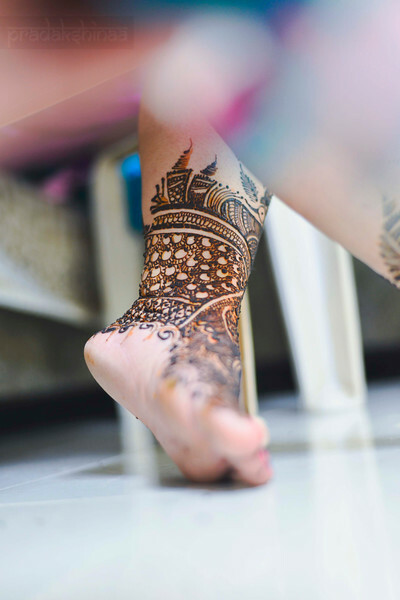 I love photographing Mehndi because of how beautiful and intricate it is. The process of photographing another artist is really rewarding as well. Meeting other creatives is a huge plus and we get so excited to work with new people in new places. It is also an opportunity for us to just hang out with the bride and chat with anything and everything. The rest of the events are usually so busy that we don’t get that time to talk as much. When you connect with your subjects early on it makes the rest of the wedding events that much easier. Getting the trust of your subjects in the first day is a very important step in becoming a successful Indian wedding photographer.